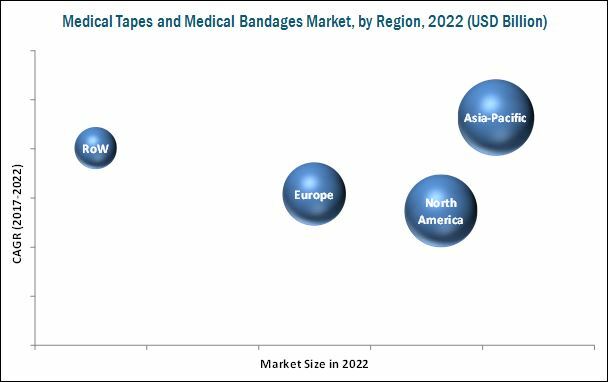 [163 Pages Report] The global medical tapes and bandages market is projected to reach USD 7.39 Billion by 2022 from USD 6.13 Billion in 2017, at a CAGR of 3.8%. In 2016, Merck 3M Company (U.S.), Medtronic plc (Ireland), Johnson & Johnson Consumer Inc. (U.S.), Medline Industries, Inc. (U.S.), BSN Medical (Germany), Cardinal Health, Inc. (U.S.), Beiersdorf (Germany), Nitto Denko Corporation (Japan), and Nichiban Co., Ltd. (Japan) were some of the leading players in the global medical tapes and medical bandages market. In the past three years, these companies adopted product launches, strategic acquisitions, agreements, collaborations & partnerships, and expansions as their key business strategies to ensure market dominance. A further breakdown of the ROW medical tapes market into Latin America, the Middle East, and Africa. Based on end users, the market is categorized into hospitals, clinics, ambulatory surgical centers, and homecare setting. The hospitals segment accounted for the major share of the market in 2016, owing to a large number of surgical procedures performed in hospitals. Rising awareness about advanced wound care is expected to hinder the growth of the medical tapes market. Advanced wound accelerates the healing process for many chronic wounds by providing and promoting a moist environment. As basic/traditional wound care products take a large amount of time to heal wounds and are less effective for certain types of wounds, advanced wound care products are being used as first-line therapy wherever infection control and healing speed are major concerns. 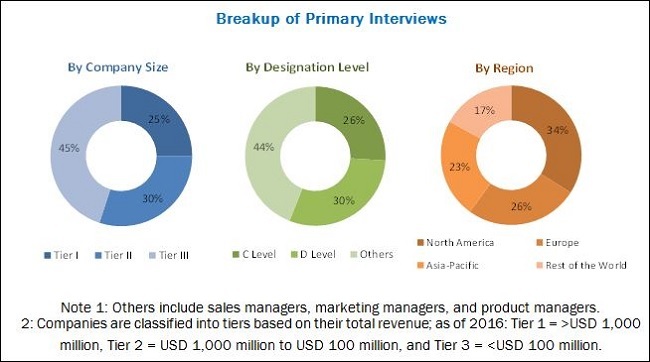 Considering their effectiveness, coupled with the limitations of basic/traditional wound dressings, advanced and active wound care products are seen as a prominent restraint for the market.